It’s no secret that Buffalonians are quite fond of lawn games. Our expansive surrounding flatness is ideal for varying outdoor games of skill. While games like Ladder Ball, Tailgate and KanJam are no doubt among the most popular, may I suggest trying a different and much older game… V:King. 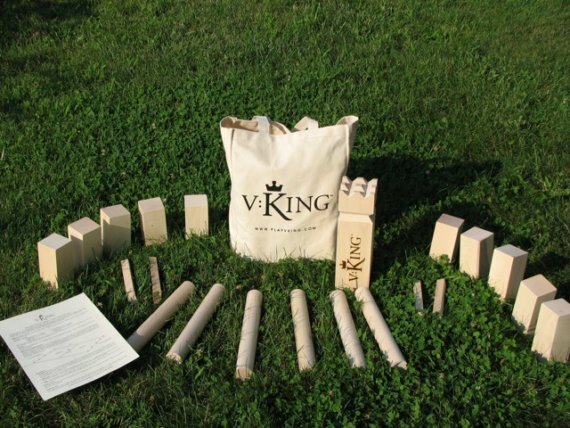 Inspired by the classic Swedish game Kubb, V:King pits opponents together in a game of skill great for all ages. The rules of the game are quite simple. Each player is given a number of battle axes which are then used to topple the other sides shields. Once those are knocked down, the players take aim at the king which is placed in the center of the arena. The first one to topple the king wins. The game costs slightly more than your average Walmart brand lawn game, however like so many things, you get what you pay for. Each piece is made of the highest quality Northern hardwoods, handcrafted in Vermont by expert craftsmen with no paint, glues, stains, dyes or chemicals. It comes in a handy carrying tote that can be reused in varying ways and to avoid excess packing V:King comes in a custom recycled outdoor box. The game is compact, easy to transport and is built to last a lifetime. 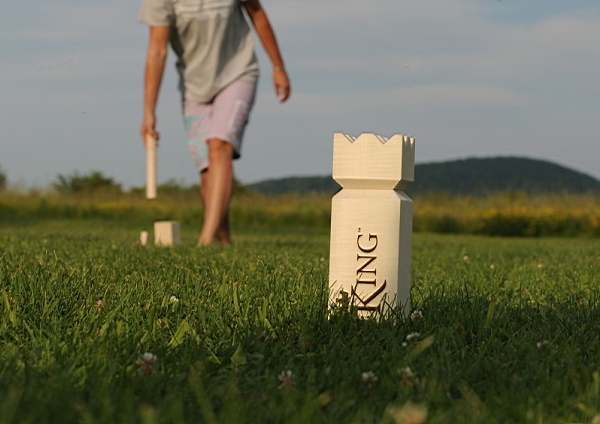 With sustainability, classic design and quality craftsmanship in mind, V:King is a game you can feel good about playing while you’re playing it. Check out a video of V:King in action below.